Punjab Commission on the Status of Women has successfully completed Training of 723Nikah Registrars and 32Union Council (UC) Chairmen and 81UC Secretaries,on correct filling of Nikah Nama and procedure for Marriage Registration in District Lodhra. A total of30training sessions were conducted by Trainers from PCSW, from January 23, 2018toFebruary 03, 2018. Topics covered in the training included Fundamental Rights enshrined in the Constitution of Pakistan, Muslim Family Laws with Amendments promulgated in 2015, Nikah Nama, Registration of marriage, Dower, Polygamy, responsibilities of a Nikah Registrar, laws to preventchild marriage, dissolution of marriage, Talaaq, Khula’a and other grounds of divorce, and Birth Registration. Chairperson PCSW Ms.Fauzia Viqar stated that a nikahnama must be considered an important document, which enables both husband and wife to be given certain rights and responsibilities towards each other, if it is filled out correctly. 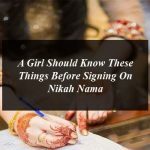 She encouraged all nikah Registrars in Punjab to ensure accurate filling of all clauses of a Nikah Nama, so that it takes shape of a document that empowers women, and ensuresthat their rights of maintenance, dower and divorce are protected.The Chairperson stressed that the Nikah Nama must be read and understood in its entirety before either party proceeds to sign it.Project Manager Shahid Iqbal briefed the audience that the overall objective of this Initiative is to curb the prevalence of early age marriage, and increase accountability of Nikah Registrars under the Child Marriage Restraint (Amendment) Act of 2015. In order to monitor progress and effectiveness of these Trainings, PCSW’s monitoring teams regularly visited all Training venues and evaluated the trainings for content and methodology. Additionally, pre and post-training tests were given to participants so that knowledge acquired during the Training could be tested. Overall, Nikah registrars took great interest in the informative sessions, and assured Trainers that they wouldabide by all laws in filling the deed. Booklets containing all relevant laws and rights of women and men in marriage were also distributed among all Nikah Registrars, Chairmen, and Secretaries of Union Councils.